Getting bored with your old regular android launcher!!! Using the same UI on smart phone makes one feel that we are having the same food on daily basis. This brought us the idea to review the Five Best Free Android Launchers in this category which will help to renovate the UI of your smart phone. If you are a Google or Nexus Fan User and interested in stocking ‘Android’ on your Google edition devices, then you have the opportunity to try ‘Google Now Launcher’. Initially, it was exclusive for the Nexus 5 User only, however, the ‘Google Now Launcher’ is currently available to all Nexus and Google editions device owners. While reviewing the features of ‘Google Now Launcher’, we have to include the basic and most lucrative feature i.e. its integration with Google’s search tool in the home screen of your smart phone with a search bar for the User to start web and voice search with just a tap. One can start voice search with the phrase ‘Okay Google’. 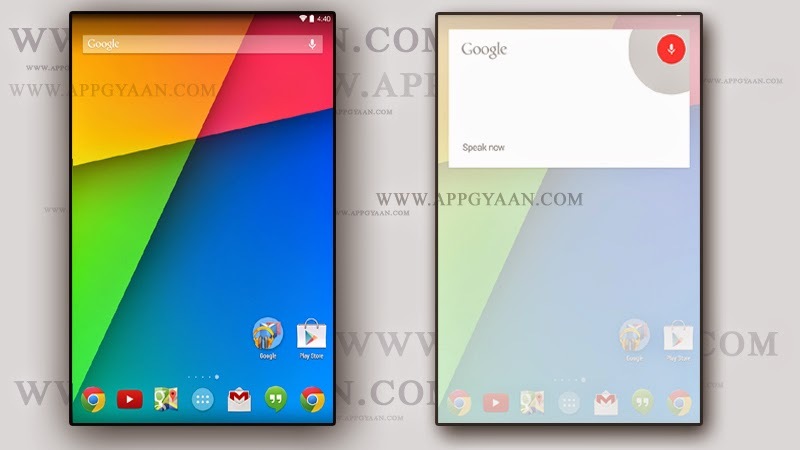 Initially, ‘Google Now Launcher’ provided transparent system bars as well as slightly enlarged icons for improved touch accuracy. 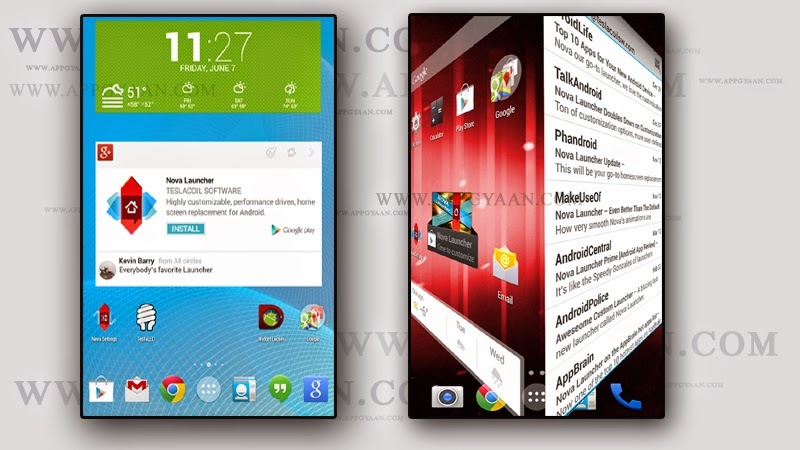 Otherwise, now it is a stock launcher along with quick search access which makes it more user-friendly. Last but the not the least, as it is a Google product, the reasons are quiet enough for its download for experiencing a new user interference in your smart phone. 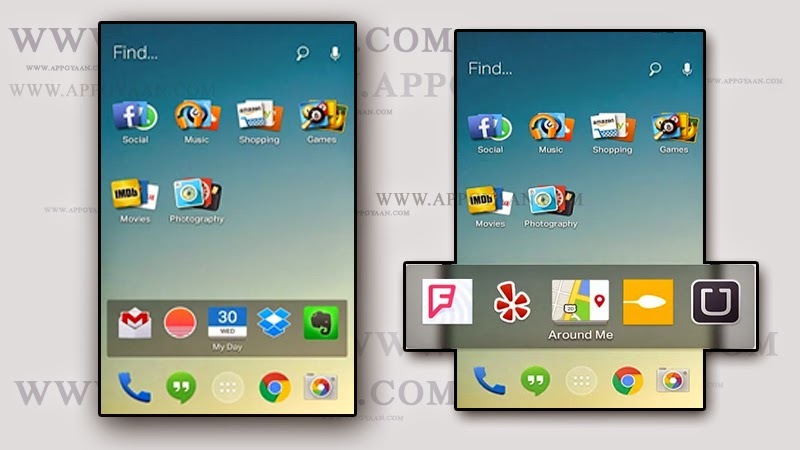 The second sport in ‘Appgyaan’s list’ is exploring for fast, sleek and highly customized ‘Nova Launcher’. Nova launcher is among the best modern Android Launcher apps. The reason for Appgyaan to review ‘Nova Launcher App' is it’s feature to work with the minimal performance impact along with permission to customise the User’s home screen as per his/her requirements without impacting the performance of the smart phone. If one is keen about changing the colours, icons and design of his/her smart phone, the ‘Nova Launcher’ is a solution. The App comes with colour themes, icon packs and scrollable docks with customization of app drawer, folder settings, and infinite scrolling. 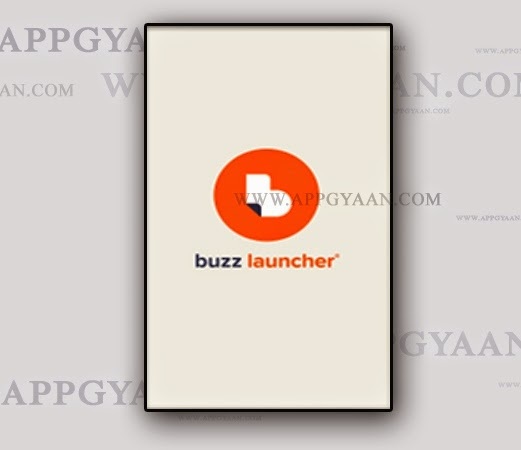 Third in Appgyaan's list is ‘Smart Launcher 2’. If you are irritated with bunches of icons and looking forward for something simple, then your search has a full stop at ‘Smart Launcher 2’. The best feature of ‘Smart Launcher 2’ is its provision of minimal list in home screen which contains a radial menu of slots where one can place his/her most frequently used apps such as dailer, contacts and mail. ‘Smart Launcher’ also includes an intelligent app drawer, which automatically sorts user apps into convenient categories like games, internet and multimedia apps while allowing users also to sort manually. The paid version of this app is also available which includes expanded lock screen functionality. Rather than building a fancier home screen, ‘Everything Me’ tries to build a smart one. The app’s standout feature is a dynamic ‘Prediction bar’ that provides changing set of application shortcuts and bookmarks depending on the place and time of day. For example, ‘Everything Me’ might display news reader apps in the morning, note-taking and cloud storage app during work hours and shortcuts to the favorite recipe book or movie & media players in the evening. Smart folders can automatically sort the apps into convenient categories, and a built-in smart search tool takes into account the usage habits and device search, as well as web results and app store recommendations. 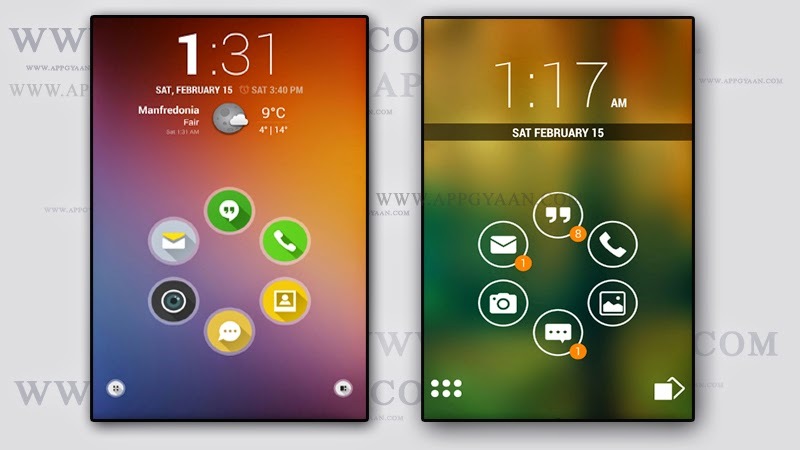 Few Android launchers have as much as sheer scoop as ‘Buzz Launcher’. It’s really difficult to address it as a single launcher because there are a lot of ‘home packs’ that one gets alongwith it. If one desires an interface that is really something different and it shows creativity of the owner. Moreover, there are plenty of other reasons which would make you like the ‘Buzz Launcher’ example, categorised look and feel alongwith customisation but kindly note that making home pack layouts is all in the hands of the creator and not the User. These are other great launchers available in Play Store for free. Hope you liked the post and the post would have helped to renovate your mobile UI. We will be looking forward for your comments and suggestions to make future posts more helpful.